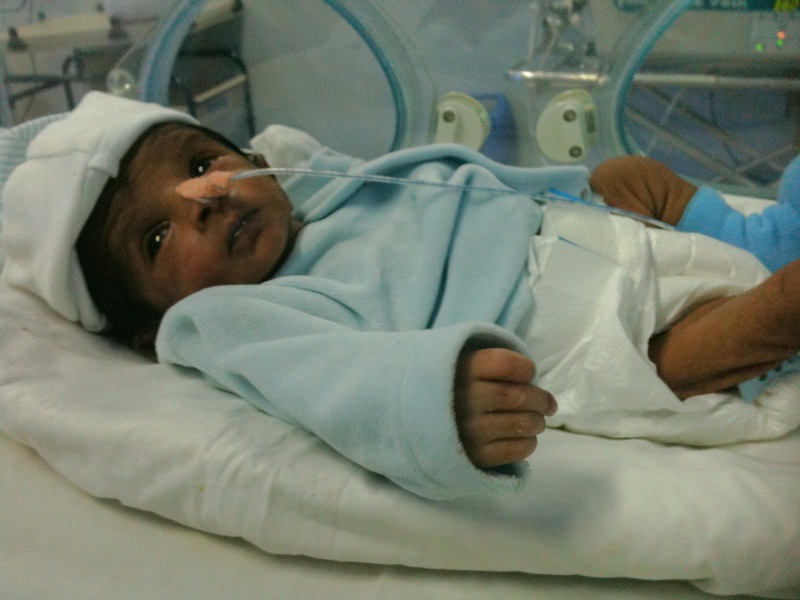 When he was in NICU, only Parents were allowed to Visit him. Mother can come anytime between 11 AM and 11 PM to feed me 🙂 and Father was allowed only for 30 Minutes between 7 and 7:30 PM. Every Morning, one of the 3 Neonatologist Specialist (Dr. Karthik Nagesh, Dr. Venkatesh & Dr. Arvind Shenoi) would check him and councel parents between 10:30 to 11:30 on weight, health, jaundice status etc. First few days in NICU he had Jaundice and after that it was subsided and under control. After a gap of 2 days, he got jaundice again and it lasted for 3 days. During those days, doctors kept him under Phototheraphy lights. Initial few days he was in Oxygen support for breathing and then resumed regular breathing. For first 2 days he was given Glucose and then started with Mother’s milk. Since Madhu cannot be with me throughtout the day, she would Express the milk and send it through me or her Appa to Hospital and the Sisters here would feed him through the tube connected to the Nose. When Madhu goes to feed him, she has found him very active and would stare at her and blink. Most of he time, he would lie on bed facing left side (doctors said may be that would have been the position in the womb).